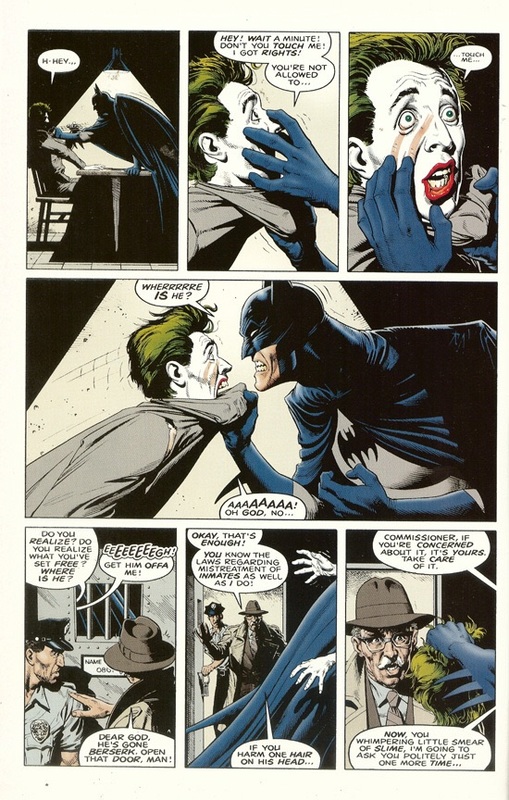 Does Joker wear makeup in the comics? 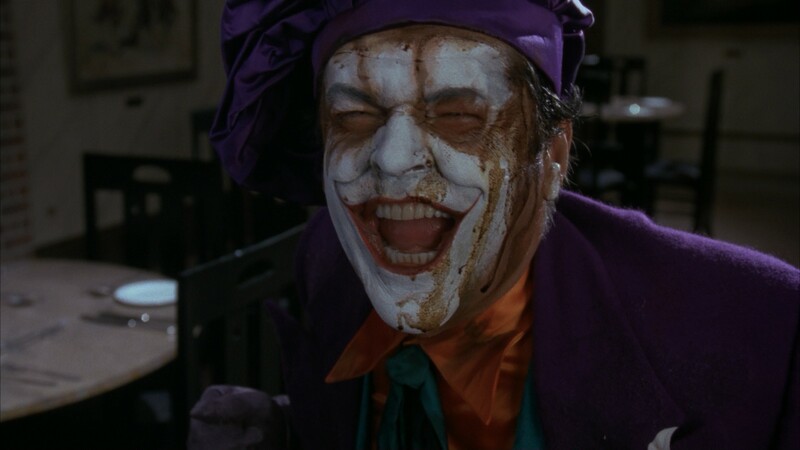 In Burton's Batman Jack Nicholson's Joker falls into a vat of chemicals which turns his skin pure white. In a couple of scenes he wears skin-colored makeup to appear more normal. 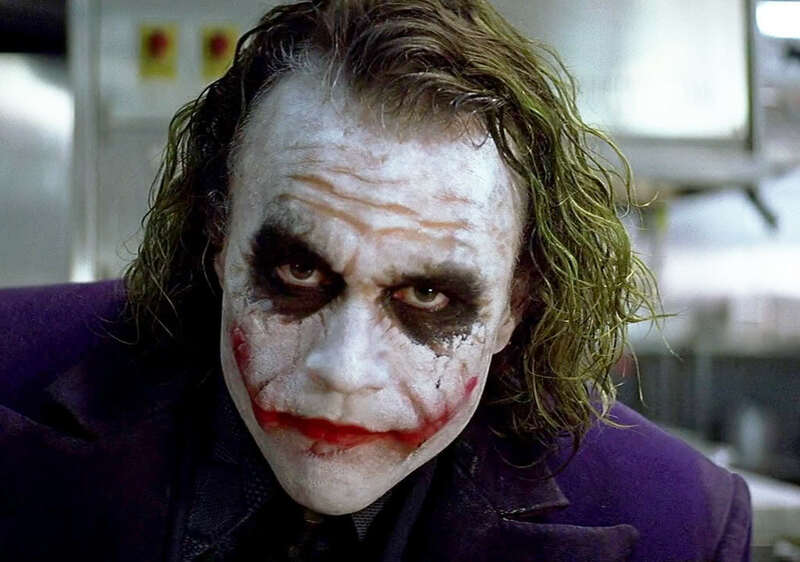 In Nolan's The Dark Knight Heath Ledger's Joker has "normal" skin and wears makeup to create Joker's trademark white skin look. He can just wash off the makeup if he wants. Which is the case in the comics? Is his skin deformed, does he wear makeup, or is he just naturally pale? The answer is a qualified "no"; in most of his many origin stories, the Joker looks the way he does because he was permanently disfigured, and his skin and hair were permanently discolored. The Joker began as a very dark character. Originally, it was unclear if the Joker’s pale skin and green hair was done with make-up or was simply how his skin looked. Over time, it seemed clear that it was his natural state. 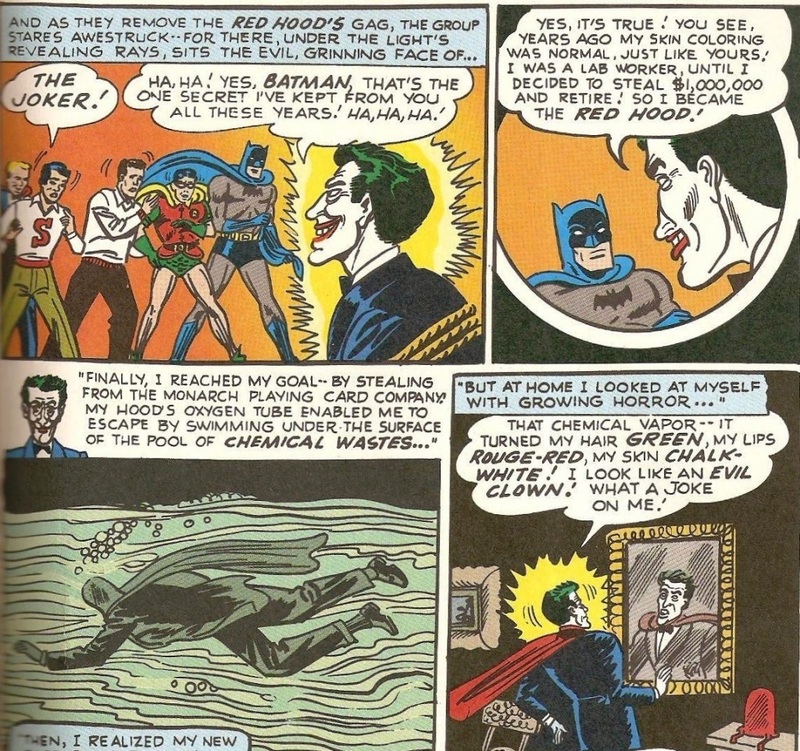 Eleven years after he was first introduced, the Joker was given an official origin story. How he got the natural clown look was revealed to be the byproduct of his swimming through a vat of chemicals when he began his criminal career as the Red Hood. The story where this was revealed was actually a great one as it featured Batman looking into just who the Red Hood was and why he disappeared. Actual clues were littered throughout the story and the Joker’s reveal was a real surprise. Nowhere in this, or any other, story is the Joker given a real name. He is always simply “The Joker” who once went by the name "Red Hood". 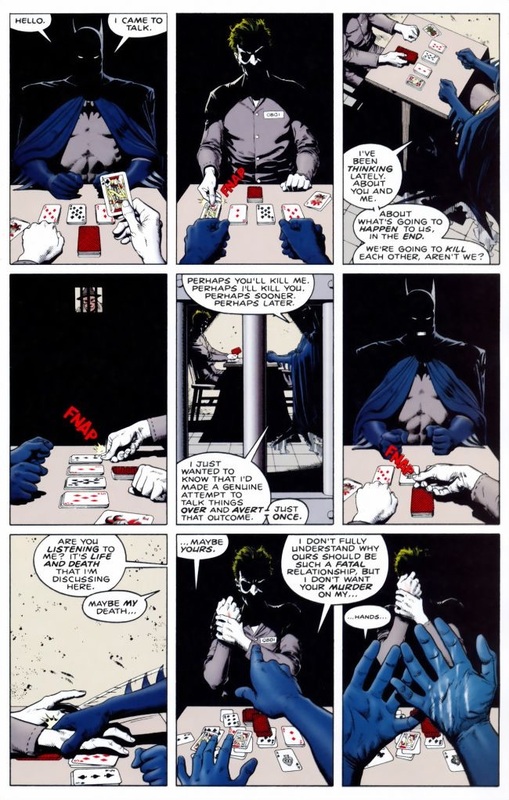 "No recounting of the Joker's origin has been definitive, however, as he has been portrayed as lying so often about his former life that he himself is confused as to what actually happened. "Sometimes I remember it one way, sometimes another... if I'm going to have a past, I prefer it to be multiple choice!"" What I think is that when the Joker was first written in the comics, I believe he was portrayed to be naturally pale looking as though he was a clown. Back then they didn't portray their characters as though they were make-believe, they were as real as you and me. Through time they became people of fiction. In DC comics he actually wore makeup. Did Batman ever let the Joker out of Arkham? Why does the Joker always laugh? Why does the real identity of the Joker matter?